Compassionate care delivered by knowledgeable dental experts. Its truly what patients expect, want and deserve. 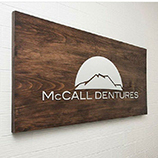 At McCall Dentures, our focus has always been keenly aimed at delivering just that. Led by one of the most-respected dentists in the area, Dr. Ryan D. McCall, our dental staff continues to provide the very best in dental care, dentures and dental implants for Indianapolis, Lebanon and the entire area. Offering a comprehensive offering of general and cosmetic dentistry services, Dr. McCall uses expert and innovative techniques along with state-of-the-art equipment, making your appointment as enjoyable as possible. Backed by a staff who prides themselves on their stellar customer care proficiency, Dr. McCall’s dental clinic has quickly become a favorite of area residents. 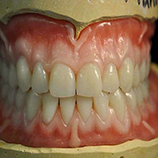 As an expert in dentures and dental implants, Dr. McCall offers the most innovative techniques and materials available in cosmetic dentistry today. 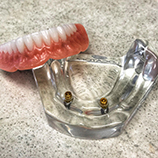 For those suffering the pain and embarrassment caused by missing teeth, our in-house denture lab allows us to construct the highest quality, best-fitting dentures quickly and at an affordable cost to the patient. Though we focus on cosmetic dentistry, we do offer residents family dentistry services that exceed expectations. Schedule your comprehensive appointment now by either filling out our online form or by calling our friendly and dental care team.